Perfectionism is a naturally limiting mindset. For example, kids are taught to color inside the lines, and any color outside the lines is considered a mistake that must be corrected. Imperfectionism frees us to live outside the lines, where possibilities are infinite, mistakes are allowed, and self-judgment is minimal. While the freedom from imperfectionism is impactful, it does not preclude us from having problems. 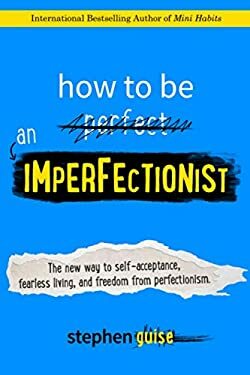 Imperfectionists aren't so ironic as to have perfect lives, they're just happier, healthier, and more productive at doing what matters.